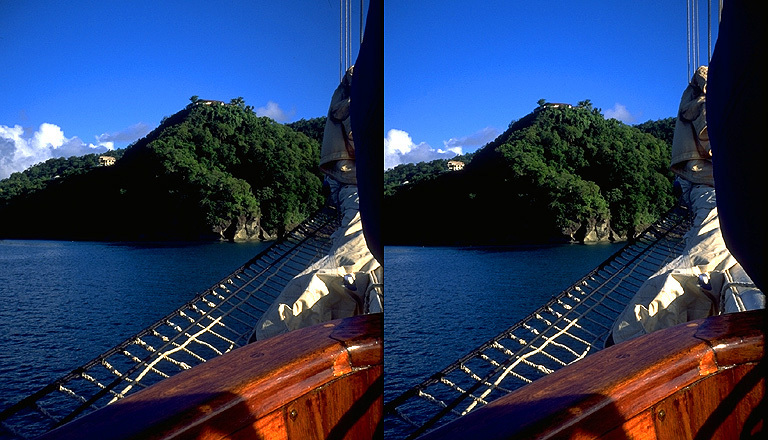 "WINDJAMMER SAILING IN THE CARIBBEAN"
In October of 1994, we sailed from Grenada to Antigua in the Windward and Leeward Islands, aboard the three-masted schooner "S/V Mandalay". 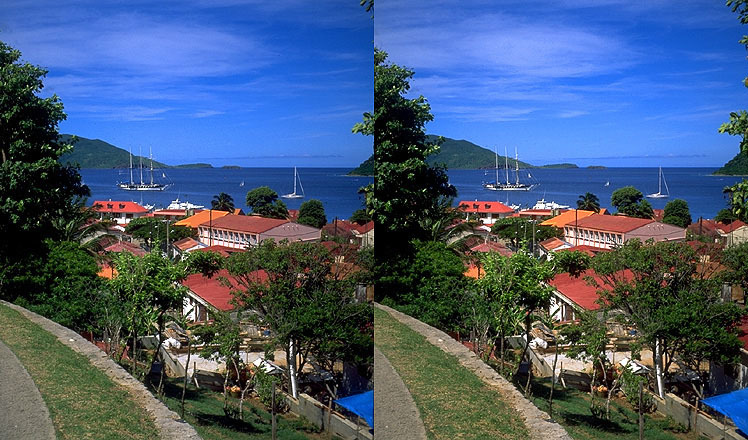 During the two week voyage, I shot both 3D slides and stereoscopic video. 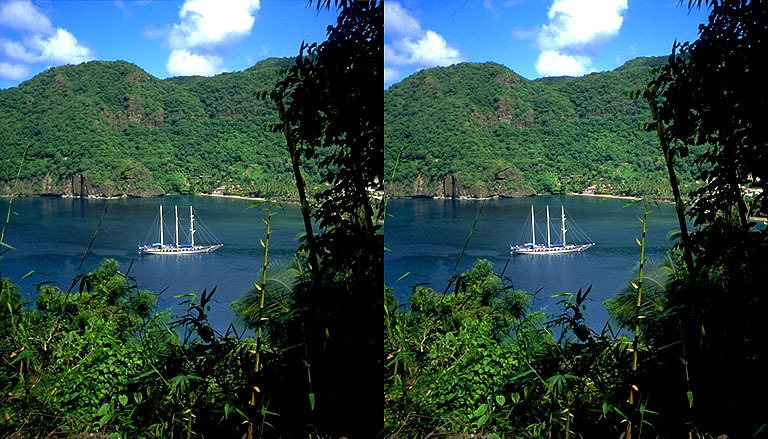 The schooner "Mandalay" lies at anchor off the island of Santa Lucia. We pay a visit to Sandy Island. The bowsprit points to a house on a mountain top. Beyond the village at Isle de Saintes, our ship awaits us. Paul pilots the launch from shore. Sunset from the deck of the "Mandalay". Our ship on calm waters, at dusk. To order on video, "click here!"